With its state-of-the-art water rides, innovative features and interactive attractions, Hawaiian Falls Roanoke has drawn a lot of attention since the waterpark opened in 2011 - offering an exciting way to spend the day with your friends and family exploring our aquatic adventures. 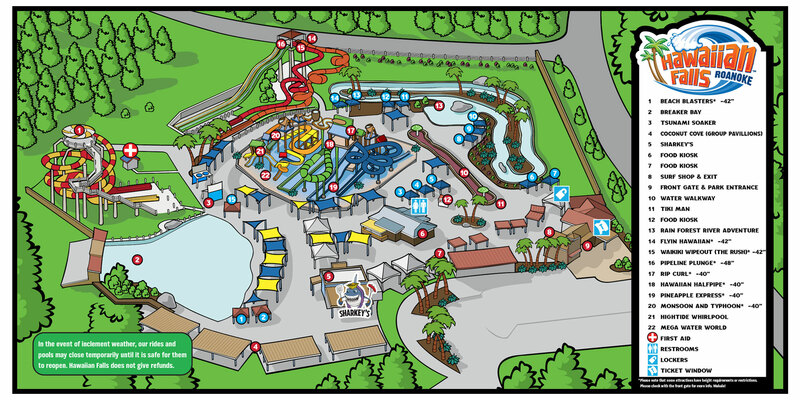 As one of the recent Texas waterparks in the Hawaiian Falls family, this premier waterpark is sure to provide your family with fun-filled experiences and create memories that you'll cherish for years to come. Hawaiian Falls Roanoke takes waterparks in Texas to a new level of excitement with the Mega WaterWorld attraction, the largest aquatic play structure in the world. Equipped with body slides, dump buckets, a three-line racer, and a family raft ride, this attraction offers fun for the entire family. Our Roanoke Waterpark is also home to Beach Blasters, the world's first multi-tube slide where participants can race against each other to the finish line. 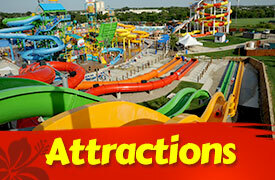 At Hawaiian Falls, each of our waterparks include dining and shopping opportunities to enhance your day of family fun. Stop by the Surf Shop for a quick snack or head over to Sharkey's Café for a hearty lunch. Cool off with authentic Hawaiian shave ice or reserve a private cabana for some pampering fun and relaxation. When you're on the hunt for a waterpark in Texas that truly offers something for everyone, Hawaiian Falls Roanoke fits the bill. Menu and Surf Shop items at Hawaiian Falls Roanoke are subject to availability and may change at any time. Flavors may vary by location, availability and may change at any time. 290 W Byron Nelson Blvd. Hawaiian Falls Roanoke is located directly below the iconic Roanoke water tower, ½ mile northwest of TX-114 BUS and HWY 377 on Byron Nelson Blvd. 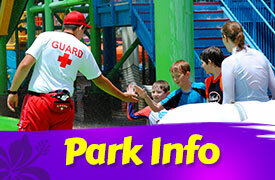 Parking is always free at Hawaiian Falls Roanoke. VIP Parking may also be available for a nominal fee. Hawaiian Falls Roanoke always has free floating tubes and life jackets. Coolers are allowed but there is a fee. 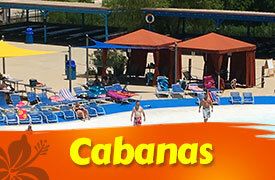 If you and your family are searching for family friendly waterpark fun, Hawaiian Falls Roanoke is the place to be. If your family is vacationing in the Fort Worth area or you live nearby, Hawaiian Falls Roanoke is your Fort Worth waterpark destination this summer. Head out to your Keller waterpark, Hawaiian Falls Roanoke, where you and your family can beat the heat all summer long. Your Grapevine waterpark at Hawaiian Falls offers all the water rides and slides you and your family need to make the most of your summer. Hawaiian Falls in Roanoke invites our Flower Mound waterpark enthusiasts to come out for family-friendly fun all summer long. 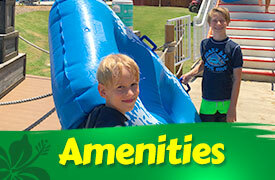 Welcoming all of our Decatur waterpark fans, come on out to Hawaiian Falls at Roanoke for family fun-in-the-sun!